Home / Food / Lemon Baby / Local Places / milk tea / It’s Lemon Baby! Here’s a new refreshment sensation in town (or at least to me), it’s Lemon Baby! 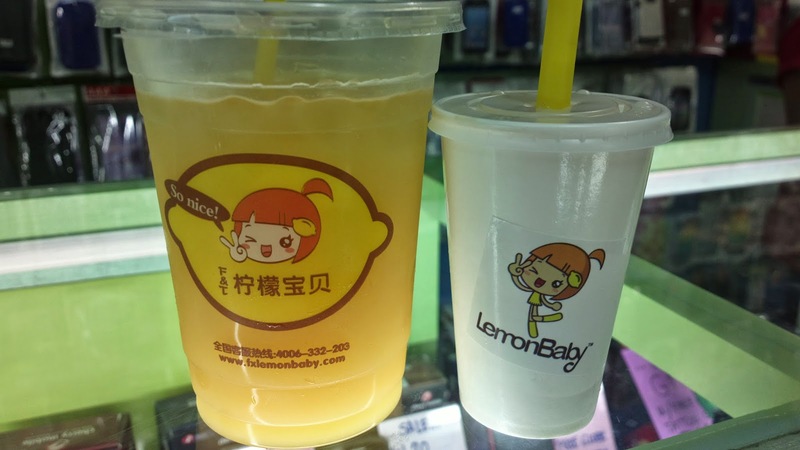 Lemon Baby recreates the usual milk tea fad which everyone (particularly youngsters) is going crazy about these days. It incorporates additional concoction of flavors, most specially lemon, hence, the name. I tried the mango yogurt and got a complimentary milk tea pearl drink because of a soft opening in a nearby SM hypermarket location. My drink was really HUGE! The largest cup size looks like a liter BIG! For more of Lemon Baby including a complete list of flavors, branches, and franchising opportunities, see www.lemonbaby.com.ph.